The word Ottoman is a historical anglicisation of the name of Osman I, the founder of the Empire and of the ruling House of Osman (also known as the Ottoman dynasty). Osman's name in turn was the Turkish form of the Arabic name ʿUthmān (عثمان‎). In Ottoman Turkish, the empire was referred to as Devlet-i ʿAlīye-yi ʿOsmānīye (دولت عليه عثمانیه‎),  (literally "The Supreme Ottoman State") or alternatively ʿOsmānlı Devleti (عثمانلى دولتى‎). In Modern Turkish, it is known as Osmanlı İmparatorluğu ("The Ottoman Empire") or Osmanlı Devleti ("The Ottoman State"). Anglicisation, occasionally anglification, anglifying, Englishing, refers to modifications made to foreign words, names and phrases to make them easier to spell, pronounce, or understand in English. It commonly refers to the respelling of foreign words, often to a more drastic degree than romanisation. One example is the word "dandelion", modified from the French dent-de-lion. Osman I or Osman Gazi, sometimes transliterated archaically as Othman, was the leader of the Ottoman Turks and the founder of the Ottoman dynasty. He and the dynasty bearing his name later established and ruled the nascent Ottoman Empire. The state, while only a small principality during Osman's lifetime, transformed into a world empire in the centuries after his death. It existed until shortly after the end of World War I. Historians commonly mark the end date at the abolition of the sultanate in 1922, the proclamation of the Republic of Turkey in 1923, or the abolition of the caliphate in 1924. The Ottoman dynasty was made up of the members of the imperial House of Osman, also known as the Ottomans. According to Ottoman tradition, the family originated from the Kayı tribe branch of the Oghuz Turks, under Osman I in northwestern Anatolia in the district of Bilecik Söğüt. The Ottoman dynasty, named after Osman I, ruled the Ottoman Empire from c. 1299 to 1922. The early modern period of modern history follows the late Middle Ages of the post-classical era. Although the chronological limits of the period are open to debate, the timeframe spans the period after the late portion of the post-classical age, known as the Middle Ages, through the beginning of the Age of Revolutions and is variously demarcated by historians as beginning with the Fall of Constantinople in 1453, with the Renaissance period, and with the Age of Discovery, and ending around the French Revolution in 1789. France and the Ottoman Empire, united by mutual opposition to Habsburg rule, became strong allies. The French conquests of Nice (1543) and Corsica (1553) occurred as a joint venture between the forces of the French king Francis I and Suleiman, and were commanded by the Ottoman admirals Barbarossa Hayreddin Pasha and Turgut Reis. 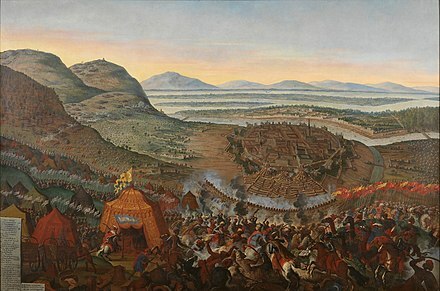 A month before the siege of Nice, France supported the Ottomans with an artillery unit during the 1543 Ottoman conquest of Esztergom in northern Hungary. After further advances by the Turks, the Habsburg ruler Ferdinand officially recognized Ottoman ascendancy in Hungary in 1547. 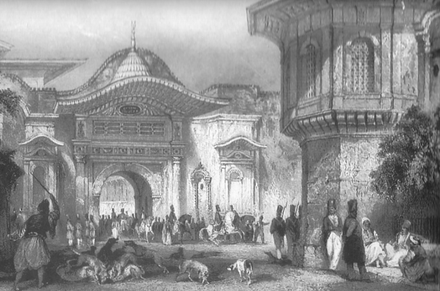 In 1839, the Sublime Porte attempted to take back what it lost to the de facto independent vilayet of Egypt, and suffered a crushing defeat, leading to the Oriental Crisis as Mohammad Ali was very close to France, and the prospect of him as Sultan was widely viewed as putting the entire empire into the French sphere of influence. As the Sublime Porte had proved itself incapable of defeating the Egyptians, Britain and Austria intervened to defeat Egypt. By the mid-19th century, the Ottoman Empire was called the "sick man" by Europeans. The suzerain states – the Principality of Serbia, Wallachia and Moldavia – moved towards de jure independence during the 1860s and 1870s. Samuel Morse received a Turkish patent for the telegraph in 1847, which was issued by Sultan Abdülmecid who personally tested the new invention. Following this successful test, work on the first Turkish telegraph line (Istanbul-Edirne-Şumnu)  began on 9 August 1847. The reformist period peaked with the Constitution, called the Kanûn-u Esâsî . The empire's First Constitutional era was short-lived. The parliament survived for only two years before the sultan suspended it. The Ottoman bashi-bazouks brutally suppressed the Bulgarian uprising of 1876, massacring up to 100,000 people in the process. The Russo-Turkish War (1877–78) ended with a decisive victory for Russia. As a result, Ottoman holdings in Europe declined sharply: Bulgaria was established as an independent principality inside the Ottoman Empire; Romania achieved full independence; and Serbia and Montenegro finally gained complete independence, but with smaller territories. In 1878, Austria-Hungary unilaterally occupied the Ottoman provinces of Bosnia-Herzegovina and Novi Pazar. The defeat and dissolution of the Ottoman Empire (1908–1922) began with the Second Constitutional Era, a moment of hope and promise established with the Young Turk Revolution. It restored the Ottoman constitution of 1876 and brought in multi-party politics with a two-stage electoral system (electoral law) under the Ottoman parliament. The constitution offered hope by freeing the empire's citizens to modernize the state's institutions, rejuvenate its strength, and enable it to hold its own against outside powers. Its guarantee of liberties promised to dissolve inter-communal tensions and transform the empire into a more harmonious place. Instead, this period became the story of the twilight struggle of the Empire. Members of Young Turks movement who had once gone underground now established their parties. Among them “Committee of Union and Progress,” and “Freedom and Accord Party” were major parties. On the other end of the spectrum were ethnic parties which included Poale Zion, Al-Fatat, and Armenian national movement organized under Armenian Revolutionary Federation. Profiting from the civil strife, Austria-Hungary officially annexed Bosnia and Herzegovina in 1908. The last of the Ottoman censuses was performed in 1914. Despite military reforms which reconstituted the Ottoman Modern Army, the Empire lost its North African territories and the Dodecanese in the Italo-Turkish War (1911) and almost all of its European territories in the Balkan Wars (1912–1913). 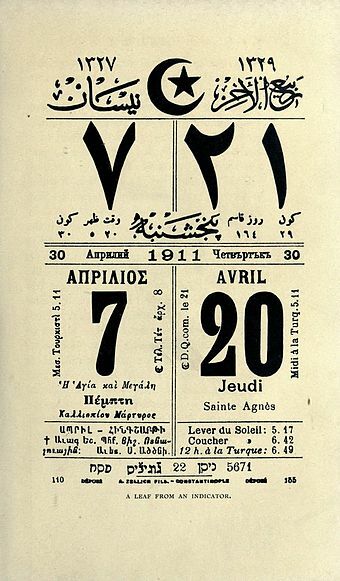 The Empire faced continuous unrest in the years leading up to World War I, including the Ottoman countercoup of 1909, the 31 March Incident and two further coups in 1912 and 1913. The Ottoman Empire, or as a dynastic institution, the House of Osman, was unprecedented and unequaled in the Islamic world for its size and duration. In Europe, only the House of Habsburg had a similarly unbroken line of sovereigns (kings/emperors) from the same family who ruled for so long, and during the same period, between the late 13th and early 20th centuries. The Ottoman dynasty was Turkish in origin. On eleven occasions, the sultan was deposed (replaced by another sultan of the Ottoman dynasty, who were either the former sultan's brother, son or nephew) because he was perceived by his enemies as a threat to the state. There were only two attempts in Ottoman history to unseat the ruling Ottoman dynasty, both failures, which suggests a political system that for an extended period was able to manage its revolutions without unnecessary instability. As such, the last Ottoman sultan Mehmed VI (r. 1918–1922) was a direct patrilineal (male-line) descendant of the first Ottoman sultan Osman I (d. 1323/4), which was unparallelled in both Europe (e.g. the male line of the House of Habsburg became extinct in 1740) and in the Islamic world. The primary purpose of the Imperial Harem was to ensure the birth of male heirs to the Ottoman throne and secure the continuation of the direct patrilineal (male-line) descendance of the Ottoman sultans. These court categories were not, however, wholly exclusive: for instance, the Islamic courts, which were the Empire's primary courts, could also be used to settle a trade conflict or disputes between litigants of differing religions, and Jews and Christians often went to them to obtain a more forceful ruling on an issue. The Ottoman state tended not to interfere with non-Muslim religious law systems, despite legally having a voice to do so through local governors. The Islamic Sharia law system had been developed from a combination of the Qur'an; the Hadīth, or words of the prophet Muhammad; ijmā' , or consensus of the members of the Muslim community; qiyas, a system of analogical reasoning from earlier precedents; and local customs. Both systems were taught at the Empire's law schools, which were in Istanbul and Bursa. The Ottoman Islamic legal system was set up differently from traditional European courts. Presiding over Islamic courts would be a Qadi, or judge. Since the closing of the ijtihad , or Gate of Interpretation, Qadis throughout the Ottoman Empire focused less on legal precedent, and more with local customs and traditions in the areas that they administered. 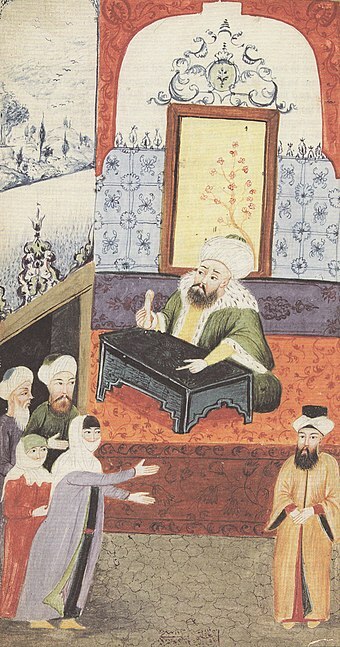 However, the Ottoman court system lacked an appellate structure, leading to jurisdictional case strategies where plaintiffs could take their disputes from one court system to another until they achieved a ruling that was in their favor. The establishment of Ottoman military aviation dates back to between June 1909 and July 1911. The Ottoman Empire started preparing its first pilots and planes, and with the founding of the Aviation School (Tayyare Mektebi) in Yeşilköy on 3 July 1912, the Empire began to tutor its own flight officers. The founding of the Aviation School quickened advancement in the military aviation program, increased the number of enlisted persons within it, and gave the new pilots an active role in the Ottoman Army and Navy. In May 1913 the world's first specialized Reconnaissance Training Program was started by the Aviation School and the first separate reconnaissance division was established. [ citation needed ] In June 1914 a new military academy, the Naval Aviation School (Bahriye Tayyare Mektebi) was founded. With the outbreak of World War I, the modernization process stopped abruptly. The Ottoman aviation squadrons fought on many fronts during World War I, from Galicia in the west to the Caucasus in the east and Yemen in the south. Ottoman government deliberately pursued a policy for the development of Bursa, Edirne, and Istanbul, successive Ottoman capitals, into major commercial and industrial centres, considering that merchants and artisans were indispensable in creating a new metropolis. To this end, Mehmed and his successor Bayezid, also encouraged and welcomed migration of the Jews from different parts of Europe, who were settled in Istanbul and other port cities like Salonica. In many places in Europe, Jews were suffering persecution at the hands of their Christian counterparts, such as in Spain after the conclusion of Reconquista. The tolerance displayed by the Turks was welcomed by the immigrants. 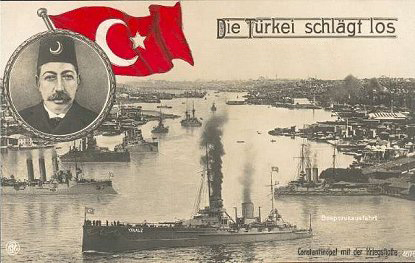 Modern Ottoman studies indicate that the change in relations between the Ottoman Turks and central Europe was caused by the opening of the new sea routes. 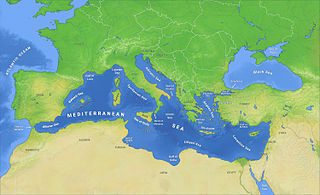 It is possible to see the decline in the significance of the land routes to the East as Western Europe opened the ocean routes that bypassed the Middle East and Mediterranean as parallel to the decline of the Ottoman Empire itself. [ not in citation given ] The Anglo-Ottoman Treaty, also known as the Treaty of Balta Liman that opened the Ottoman markets directly to English and French competitors, would be seen as one of the staging posts along this development. Because of a low literacy rate among the public (about 2–3% until the early 19th century and just about 15% at the end of the 19th century), ordinary people had to hire scribes as "special request-writers" (arzuhâlcis) to be able to communicate with the government. The ethnic groups continued to speak within their families and neighborhoods (mahalles) with their own languages (e.g., Jews, Greeks, Armenians, etc.). In villages where two or more populations lived together, the inhabitants would often speak each other's language. In cosmopolitan cities, people often spoke their family languages; many of those who were not ethnic Turks spoke Turkish as a second language. Muslim sects regarded as heretical, such as the Druze, Ismailis, Alevis, and Alawites, ranked below Jews and Christians. In 1514, Sultan Selim I ordered the massacre of 40,000 Anatolian Alevis ( Qizilbash ), whom he considered a fifth column for the rival Safavid empire. Selim was also responsible for an unprecedented and rapid expansion of the Ottoman Empire into the Middle East, especially through his conquest of the entire Mamluk Sultanate of Egypt. 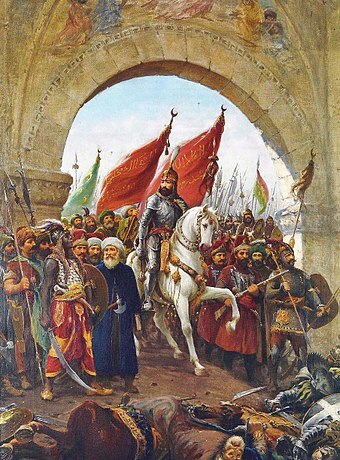 With these conquests, Selim further solidified the Ottoman claim for being an Islamic caliphate, although Ottoman sultans had been claiming the title of caliph since the 14th century starting with Murad I (reigned 1362 to 1389). The caliphate would remain held by Ottoman sultans for the rest of the office's duration, which ended with its abolition on 3 March 1924 by the Grand National Assembly of Turkey and the exile of the last caliph, Abdülmecid II, to France. The Ottomans absorbed some of the traditions, art and institutions of cultures in the regions they conquered, and added new dimensions to them. Numerous traditions and cultural traits of previous empires (in fields such as architecture, cuisine, music, leisure and government) were adopted by the Ottoman Turks, who elaborated them into new forms, resulting in a new and distinctively Ottoman cultural identity. Despite newer added amalgamations, the Ottoman dynasty, like their predecessors in the Sultanate of Rum and the Seljuk Empire, were thoroughly Persianised in their culture, language, habits and customs, and therefore the empire has been described as a Persianate empire. Intercultural marriages also played a part in creating the characteristic Ottoman elite culture. When compared to the Turkish folk culture, the influence of these new cultures in creating the culture of the Ottoman elite was clear. The tradition of Ottoman miniatures, painted to illustrate manuscripts or used in dedicated albums, was heavily influenced by the Persian art form, though it also included elements of the Byzantine tradition of illumination and painting. [ citation needed ] A Greek academy of painters, the Nakkashane-i-Rum, was established in the Topkapi Palace in the 15th century, while early in the following century a similar Persian academy, the Nakkashane-i-Irani, was added. Ottoman illumination covers non-figurative painted or drawn decorative art in books or on sheets in muraqqa or albums, as opposed to the figurative images of the Ottoman miniature. It was a part of the Ottoman Book Arts together with the Ottoman miniature (taswir), calligraphy (hat), Islamic calligraphy, bookbinding (cilt) and paper marbling (ebru). In the Ottoman Empire, illuminated and illustrated manuscripts were commissioned by the Sultan or the administrators of the court. In Topkapi Palace, these manuscripts were created by the artists working in Nakkashane, the atelier of the miniature and illumination artists. Both religious and non-religious books could be illuminated. Also sheets for albums levha consisted of illuminated calligraphy (hat) of tughra , religious texts, verses from poems or proverbs, and purely decorative drawings. 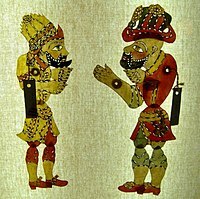 The traditional shadow play called Karagöz and Hacivat was widespread throughout the Ottoman Empire and featured characters representing all of the major ethnic and social groups in that culture. It was performed by a single puppet master, who voiced all of the characters, and accompanied by tambourine (def). Its origins are obscure, deriving perhaps from an older Egyptian tradition, or possibly from an Asian source. Much of the cuisine of former Ottoman territories today is descended from a shared Ottoman cuisine, especially Turkish, and including Greek, Balkan, Armenian, and Middle Eastern cuisines. Many common dishes in the region, descendants of the once-common Ottoman cuisine, include yogurt, döner kebab/gyro/shawarma, cacık/tzatziki, ayran, pita bread, feta cheese, baklava, lahmacun, moussaka, yuvarlak, köfte/keftés/kofta, börek/boureki, rakı/rakia/tsipouro/tsikoudia, meze, dolma, sarma, rice pilaf, Turkish coffee, sujuk, kashk, keşkek, manti, lavash, kanafeh, and more. ↑ The sultanate was abolished on 1 November 1922 and the Republic of Turkey was established on 29 October 1923. For further information, see Defeat and dissolution of the Ottoman Empire. ↑ In Ottoman Turkish, the city was known by various names, among which were Kostantiniyye (قسطنطينيه‎) (replacing the suffix -polis with the Arabic nisba), Dersaadet (در سعادت‎) and Istanbul (استانبول‎). Names other than Istanbul gradually became obsolete in Turkish, and after Turkey's transition to Latin script in 1928, Istanbul became widely accepted internationally. ↑ The sultan from 1512 to 1520. ↑ The Treaty of Sèvres (10 August 1920) afforded a small existence to the Ottoman Empire. On 1 November 1922, the Grand National Assembly (GNAT) abolished the sultanate and declared that all the deeds of the Ottoman regime in Istanbul were null and void as of 16 March 1920, the date of the occupation of Constantinople under the terms of the Treaty of Sèvres. The international recognition of the GNAT and the Government of Ankara was achieved through the signing of the Treaty of Lausanne on 24 July 1923. The Grand National Assembly of Turkey promulgated the Republic on 29 October 1923, which ended the Ottoman Empire in history. ↑ A lock-hold on trade between western Europe and Asia is often cited as a primary motivation for Isabella I of Castile to fund Christopher Columbus's westward journey to find a sailing route to Asia and, more generally, for European seafaring nations to explore alternative trade routes (e.g. K.D. Madan, Life and travels of Vasco Da Gama (1998), 9; I. Stavans, Imagining Columbus: the literary voyage (2001), 5; W.B. Wheeler and S. Becker, Discovering the American Past. A Look at the Evidence: to 1877 (2006), 105). This traditional viewpoint has been attacked as unfounded in an influential article by A.H. Lybyer ("The Ottoman Turks and the Routes of Oriental Trade", English Historical Review, 120 (1915), 577–88), who sees the rise of Ottoman power and the beginnings of Portuguese and Spanish explorations as unrelated events. His view has not been universally accepted (cf. K.M. Setton, The Papacy and the Levant (1204–1571), Vol. 2: The Fifteenth Century (Memoirs of the American Philosophical Society, Vol. 127) (1978), 335). Devshirme, also known as the blood tax or tribute in blood, was chiefly the practice where the Ottoman Empire sent military officers to take Christian boys, ages 8 to 18, from their families in Eastern and Southeastern Europe in order that they be raised to serve the state. This tax of sons was imposed only on the Christian subjects of the empire, in the villages of the Balkans and Anatolia. Ismail Enver Pasha was an Ottoman military officer and a leader of the 1908 Young Turk Revolution. He became the main leader of the Ottoman Empire in both the Balkan Wars (1912–13) and in World War I (1914–18). In the course of his career he was known by increasingly elevated titles as he rose through military ranks, including Enver Efendi, Enver Bey, and finally Enver Pasha, "pasha" being the honorary title Ottoman military officers gained on promotion to the rank of Mirliva. The Ottoman Empire was founded by Osman I. As sultan Mehmed II conquered Constantinople in 1453, the state grew into a mighty empire. 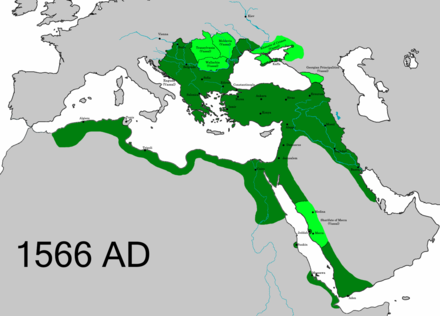 The Empire reached its apex under Suleiman the Magnificent in the 16th century when it stretched from the Persian Gulf in the east to Hungary in the northwest; and from Egypt in the south to the Caucasus in the north. The empire came to an end in the aftermath of its defeat by the Allies in World War I. 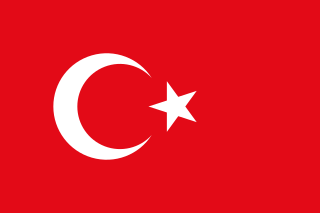 The empire was abolished by the Government of the Turkish Grand National Assembly in Ankara in November 1922 following the Turkish War of Independence (1919–23). Beginning from the late eighteenth century, the Ottoman Empire faced challenges defending itself against foreign invasion and occupation. In response to foreign threats, the empire initiated a period of tremendous internal reform which came to be known as the Tanzimat, which succeeded in significantly strengthening the Ottoman central state, despite the empire's precarious international position. Over the course of the nineteenth century, the Ottoman state became increasingly powerful and rationalized, exercising a greater degree of influence over its population than in any previous era. The process of reform and modernization in the empire began with the declaration of the Nizam-I Cedid during the reign of Sultan Selim III and was punctuated by several reform decrees, such as the Hatt-ı Şerif of Gülhane in 1839 and the Hatt-ı Hümayun in 1856. At the end of this period, marked with 1908, to a degree the Ottoman military became modernized and professionalized according to the model of Western European Armies. The period was followed by the defeat and dissolution of the Ottoman Empire (1908–1922). 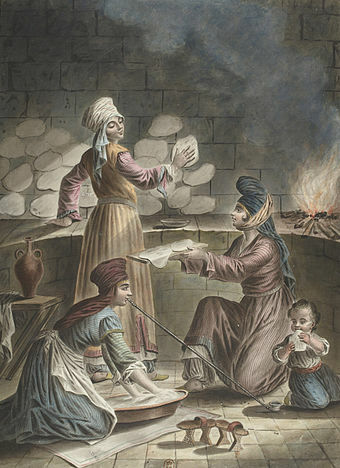 In the Ottoman Empire, a millet was a separate court of law pertaining to "personal law" under which a confessional community was allowed to rule itself under its own laws. Despite frequently being referred to as a "system", before the nineteenth century the organization of what are now retrospectively called millets in the Ottoman Empire was far from systematic. Rather, non-Muslims were simply given a significant degree of autonomy within their own community, without an overarching structure for the 'millet' as a whole. The notion of distinct millets corresponding to different religious communities within the empire would not emerge until the eighteenth century. Subsequently, the existence of the millet system was justified through numerous foundation myths linking it back to the time of Sultan Mehmed the Conqueror, although it is now understood that no such system existed in the fifteenth century. After the Ottoman Tanzimat (1839–76) reforms, the term was used for legally protected religious minority groups, similar to the way other countries use the word nation. The word millet comes from the Arabic word millah (ملة) and literally means "nation". The millet system has been called an example of pre-modern religious pluralism. The dissolution of the Ottoman Empire (1908–1922) began with the Second Constitutional Era with the Young Turk Revolution. It restored the Ottoman constitution of 1876 and brought in multi-party politics with a two stage electoral system under the Ottoman parliament. The constitution offered hope by freeing the empire's citizens to modernize the state's institutions and dissolve inter-communal tensions. 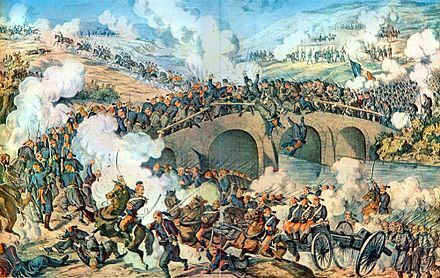 The Russo–Turkish wars were a series of wars fought between the Russian Empire and the Ottoman Empire between the 17th and 20th centuries. It was one of the longest series of military conflicts in European history. 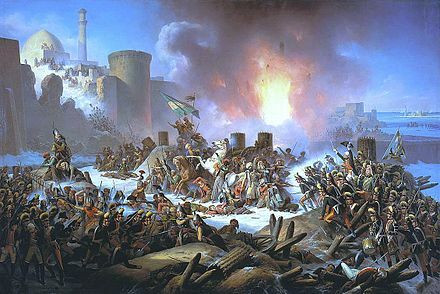 Except for the war of 1710-11, the conflicts ended disastrously for the stagnating Ottoman Empire; conversely they showcased the ascendancy of Russia as a European power after the modernisation efforts of Peter the Great in the early 18th century. Armenians in the Ottoman Empire mostly belonged to either the Armenian Apostolic Church or the Armenian Catholic Church. They were part of the Armenian millet until the Tanzimat reforms in the nineteenth century equalized all Ottoman citizens before the law. Ottoman Greeks were ethnic Greeks who lived in the Ottoman Empire (1299–1923), the Republic of Turkey's predecessor. Ottoman Greeks, who were Greek Orthodox Christians, belonged to the Rum Millet. They were concentrated in what is today modern Greece, eastern Thrace, western Asia Minor, central Anatolia, northeastern Anatolia. There were also sizeable Greek communities elsewhere in the Ottoman Balkans, Ottoman Armenia, and the Ottoman Caucasus, including in what, between 1878 and 1917, made up the Russian Caucasus province of Kars Oblast, in which Pontic Greeks, northeastern Anatolian Greeks, and Caucasus Greeks who had collaborated with the Russian Imperial Army in the Russo-Turkish War of 1828-1829 were settled in over 70 villages, as part of official Russian policy to re-populate with Orthodox Christians an area that was traditionally made up of Ottoman Muslims and Armenians. 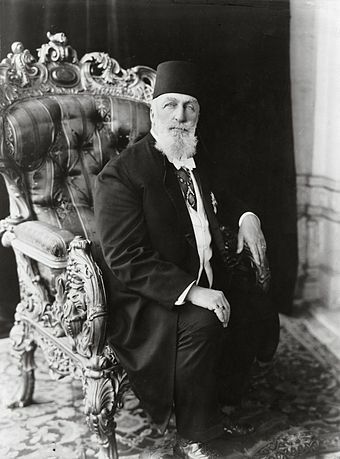 Abdul Hamid II was the 34th Sultan of the Ottoman Empire and the last Sultan to exert effective control over the fracturing state. He oversaw a period of decline, with rebellions particularly in the Balkans, and had an unsuccessful war with the Russian Empire followed by a successful war against the Kingdom of Greece in 1897. Hamid II ruled from August 31, 1876 until he was deposed shortly after the 1908 Young Turk Revolution, on April 27, 1909. In accordance with an agreement made with the Republican Young Ottomans, he promulgated the first Ottoman Constitution of 1876 on December 23, 1876, which was a sign of progressive thinking that marked his early rule. Later, however, he noticed Western influence on Ottoman affairs and citing disagreements with the Parliament, suspended both the short-lived constitution and Parliament in 1878 and accomplished highly effective power and control. Sürgün or verb form sürmek was a practice within the Ottoman Empire that entailed the movement of a large group of people from one region to another, often a form of forced migration imposed by state policy or international authority. The practice was also a form of banishment or exile often applied to the elites of Ottoman society, the Pashas. It was most famously used as a method of ethnic cleansing in the oft disputed Armenian Genocide perpetrated by the Young Turk government in 1915, in order to deal with a perceived threat from Armenian nationals receiving military support from the, Ottoman hostile, Russian Empire. Persecution of Ottoman Muslims during the Ottoman contraction refers to the persecution, massacre, or ethnic cleansing of Muslims by non-Muslim ethnic groups during the dissolution of the Ottoman Empire. The 19th century saw the rise of nationalism in the Balkans coincident with the decline of Ottoman power, which resulted in the establishment of an independent Greece, Serbia and Bulgaria. At the same time, the Russian Empire expanded into previously Ottoman ruled or Ottoman allied regions of the Caucasus and the Black Sea region. Many of the local Muslims in these countries suffered as many died during the conflicts and others fled. The persecution of Muslims was continued during World War I by the invading Russian troops in the east and the Caucasus and during the Turkish War of Independence in the west, east, and south of Anatolia. After the Greco-Turkish War, a population exchange took place and most Muslims in Greece left. During these centuries many Muslim refugees, called Muhacir, settled in Turkey. 1 2 "In 1363 the Ottoman capital moved from Bursa to Edirne, although Bursa retained its spiritual and economic importance." Ottoman Capital Bursa. Official website of Ministry of Culture and Tourism of the Republic of Turkey. Retrieved 26 June 2013. 1 2 3 Lambton, Ann; Lewis, Bernard (1995). The Cambridge History of Islam: The Indian sub-continent, South-East Asia, Africa and the Muslim west. 2. Cambridge University Press. p. 320. ISBN 978-0-521-22310-2. ↑ Turchin, Peter; Adams, Jonathan M.; Hall, Thomas D (December 2006). "East-West Orientation of Historical Empires". Journal of World-systems Research. 12 (2): 223. ISSN 1076-156X . Retrieved 12 September 2016. ↑ Rein Taagepera (September 1997). 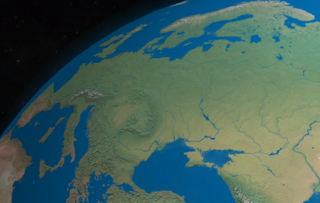 "Expansion and Contraction Patterns of Large Polities: Context for Russia". International Studies Quarterly . 41 (3): 498. doi:10.1111/0020-8833.00053. JSTOR 2600793. ↑ "ENERGY AND POPULATION IN EUROPE The Medieval Growth (10th-14th Centuries)" (PDF). ↑ Erickson, Edward J. (2003). Defeat in Detail: The Ottoman Army in the Balkans, 1912–1913. Greenwood Publishing Group. p. 59. ISBN 978-0-275-97888-4. ↑ Hamish Scott (2015). The Oxford Handbook of Early Modern European History, 1350–1750: Volume II. p. 612. ISBN 978-0-19-102000-1. "The Ottoman Empire-also known in Europe as the Turkish Empire"
1 2 Soucek, Svat (2015). Ottoman Maritime Wars, 1416–1700. Istanbul: The Isis Press. p. 8. ISBN 978-975-428-554-3. The scholarly community specializing in Ottoman studies has of late virtually banned the use of "Turkey", "Turks", and "Turkish" from acceptable vocabulary, declaring "Ottoman" and its expanded use mandatory and permitting its "Turkish" rival only in linguistic and philological contexts. ↑ Finkel, Caroline (2006-02-13). Osman's Dream: The Story of the Ottoman Empire, 1300–1923. Basic Books. pp. 2, 7. ISBN 978-0-465-02396-7. ↑ Quataert, Donald (2005). The Ottoman Empire, 1700–1922 (2 ed.). Cambridge University Press. p. 4. ISBN 978-0-521-83910-5. ↑ Chisholm, Hugh, ed. (1911). "Turkey" . Encyclopædia Britannica . 27 (11th ed.). Cambridge University Press. p. 448. ↑ Ágoston, Gábor (2009). "Introduction". In Ágoston, Gábor; Bruce Masters. Encyclopedia of the Ottoman Empire. p. xxxii. 1 2 Aksan, Virginia (2007). Ottoman Wars, 1700–1860: An Empire Besieged. Pearson Education Ltd. pp. 130–35. ISBN 978-0-582-30807-7. ↑ Quataert, Donald (1994). "The Age of Reforms, 1812–1914". In İnalcık, Halil; Donald Quataert. An Economic and Social History of the Ottoman Empire, 1300–1914. 2. Cambridge University Press. p. 762. ISBN 978-0-521-57456-3. ↑ Findley, Carter Vaughn (2010). Turkey, Islam, Nationalism and Modernity: A History, 1789–2007. New Haven: Yale University Press. p. 200. ISBN 978-0-300-15260-9. ↑ Howard, Douglas A. (2016). A History of the Ottoman Empire. Cambridge University Press. p. 318. ISBN 978-1-108-10747-1. ↑ "Ottoman banknote with Arabic script" . Retrieved 26 August 2010. ↑ Ágoston, Gábor (2009). "Introduction". In Ágoston, Gábor; Bruce Masters. Encyclopedia of the Ottoman Empire. p. xxvi. ↑ Kafadar, Cemal (2007). "A Rome of One's Own: Cultural Geography and Identity in the Lands of Rum". Muqarnas. 24: 11. ↑ Kermeli, Eugenia (2009). "Osman I". In Ágoston, Gábor; Bruce Masters. Encyclopedia of the Ottoman Empire. p. 444. ↑ Lowry, Heath (2003). The Nature of the Early Ottoman State. SUNY Press. p. 59. ↑ Finkel, Caroline (2005). Osman's Dream: The History of the Ottoman Empire. Basic Books. pp. 5, 10. ISBN 978-0-465-00850-6. ↑ Robert Elsie (2004). Historical Dictionary of Kosova. Scarecrow Press. pp. 95–96. ISBN 978-0-8108-5309-6. ↑ David Nicolle (1999). Nicopolis 1396: The Last Crusade. Osprey Publishing. ISBN 978-1-85532-918-8. ↑ Gábor Ágoston; Bruce Alan Masters (2009). Encyclopedia of the Ottoman Empire. Infobase Publishing. p. 363. ISBN 978-1-4381-1025-7. ↑ Mesut Uyar; Edward J. Erickson (2009). A Military History of the Ottomans: From Osman to Atatürk. ABC-CLIO. p. 29. ISBN 978-0-275-98876-0. ↑ Lokman (1588). "Battle of Mohács (1526)". Archived from the original on 29 May 2013. 1 2 Stone, Norman (2005). "Turkey in the Russian Mirror". In Mark Erickson, Ljubica Erickson. Russia War, Peace And Diplomacy: Essays in Honour of John Erickson. Weidenfeld & Nicolson. p. 94. ISBN 978-0-297-84913-1 . Retrieved 11 February 2013. ↑ Karpat, Kemal H. (1974). The Ottoman state and its place in world history. Leiden: Brill. p. 111. ISBN 978-90-04-03945-2. ↑ Savory, R. M. (1960). "The Principal Offices of the Ṣafawid State during the Reign of Ismā'īl I (907–30/1501–24)". Bulletin of the School of Oriental and African Studies, University of London. 23 (1): 91–105. doi:10.1017/S0041977X00149006. JSTOR 609888. ↑ Hess, Andrew C. (January 1973). "The Ottoman Conquest of Egypt (1517) and the Beginning of the Sixteenth-Century World War". International Journal of Middle East Studies. 4 (1): 55–76. doi:10.1017/S0020743800027276. JSTOR 162225. ↑ "Encyclopædia Britannica". Britannica Online Encyclopedia. Retrieved 26 August 2010. ↑ Imber, Colin (2002). The Ottoman Empire, 1300–1650: The Structure of Power. Palgrave Macmillan. p. 50. ISBN 978-0-333-61386-3. ↑ Thompson, Bard (1996). Humanists and Reformers: A History of the Renaissance and Reformation. Wm. B. Eerdmans Publishing. p. 442. ISBN 978-0-8028-6348-5. 1 2 Ágoston and Alan Masters, Gábor and Bruce (2009). Encyclopedia of the Ottoman Empire. Infobase Publishing. p. 583. ISBN 978-1-4381-1025-7. ↑ Imber, Colin (2002). The Ottoman Empire, 1300–1650: The Structure of Power. Palgrave Macmillan. p. 53. ISBN 978-0-333-61386-3. ↑ Mansel, Philip (1997). Constantinople : city of the world's desire 1453–1924. London: Penguin. p. 61. ISBN 978-0-14-026246-9. ↑ "Log In ‹ History Cooperative — WordPress". historycooperative.org. Archived from the original on 25 May 2011. ↑ Ismail Hakki Goksoy. Ottoman-Aceh Relations According to the Turkish Sources (PDF). Archived from the original (PDF) on 19 January 2008. Retrieved 16 December 2018. ↑ Deringil, Selim (September 2007). "The Turks and 'Europe': The Argument from History". Middle Eastern Studies. 43 (5): 709–23. doi:10.1080/00263200701422600. ↑ Faroqhi, Suraiya (1994). "Crisis and Change, 1590–1699". In İnalcık, Halil; Donald Quataert. An Economic and Social History of the Ottoman Empire, 1300–1914. 2. Cambridge University Press. pp. 413–14. ISBN 978-0-521-57456-3. ↑ Şahin, Kaya (2013). 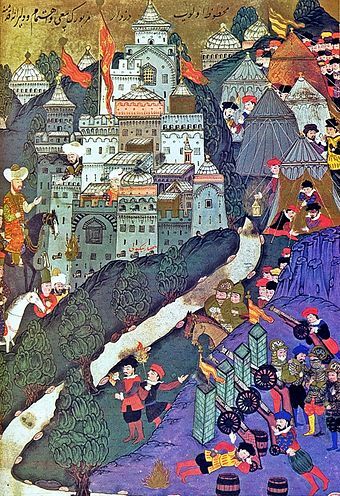 Empire and Power in the reign of Süleyman: Narrating the Sixteenth-Century Ottoman World. Cambridge University Press. p. 10. ISBN 978-1-107-03442-6. ↑ Faroqhi, Suraiya (1994). "Crisis and Change, 1590–1699". In İnalcık, Halil; Donald Quataert. An Economic and Social History of the Ottoman Empire, 1300–1914. 2. Cambridge University Press. pp. 507–08. ISBN 978-0-521-57456-3. ↑ Davies, Brian L. (2007). Warfare, State and Society on the Black Sea Steppe: 1500–1700. Routledge. p. 16. ISBN 978-0-415-23986-8 . Retrieved 11 February 2013. ↑ Orest Subtelny (2000). Ukraine. University of Toronto Press. p. 106. ISBN 978-0-8020-8390-6 . Retrieved 11 February 2013. ↑ Matsuki, Eizo. "The Crimean Tatars and their Russian-Captive Slaves" (PDF). Mediterranean Studies Group at Hitotsubashi University. Archived from the original (PDF) on 15 January 2013. Retrieved 11 February 2013. ↑ Hanlon, Gregory. The Twilight Of A Military Tradition: Italian Aristocrats And European Conflicts, 1560-1800. Routledge. p. 24. ↑ Halil İnalcık (1997). An Economic And Social History of the Ottoman Empire, Vol. 1 1300–1600. Cambridge University Press. p. 24. ISBN 978-0-521-57456-3 . Retrieved 12 February 2013. 1 2 Kinross 1979, p. 281. ↑ Herzig, Edmund; Kurkchiyan, Marina (2004-11-10). Armenians: Past and Present in the Making of National Identity. ISBN 9781135798376 . Retrieved 30 December 2014. ↑ Rubenstein, Richard L. (2000). Genocide and the Modern Age: Etiology and Case Studies of Mass Death. ISBN 9780815628286 . Retrieved 30 December 2014. 1 2 Kinross 1979, p. 371. ↑ "History". Istanbul Technical University. Archived from the original on 18 June 2012. Retrieved 6 November 2011. 1 2 3 Stone, Norman (2005). "Turkey in the Russian Mirror". In Mark Erickson, Ljubica Erickson. Russia War, Peace And Diplomacy: Essays in Honour of John Erickson. Weidenfeld & Nicolson. p. 97. ISBN 978-0-297-84913-1 . Retrieved 11 February 2013. 1 2 "Presentation of Katip Çelebi, Kitâb-i Cihân-nümâ li-Kâtib Çelebi". Utrecht University Library. 5 May 2009. Archived from the original on 12 February 2013. Retrieved 11 February 2013. ↑ Watson, William J. (1968). "Ibrahim Muteferrika and Turkish Incunabula". Journal of the American Oriental Society. 88 (3): 435–441. doi:10.2307/596868. JSTOR 596868. ↑ Berend, Tibor Iván (2003). History Derailed: Central and Eastern Europe in the Long 19th Century. University of California Press. p. 127. ISBN 978-0-520-93209-8 . Retrieved 11 February 2013. ↑ Karsh, Effraim Islamic Imperialism A History, New Haven: Yale University Press, 2006 p. 95. 1 2 3 4 5 Karsh, Effraim Islamic Imperialism A History, New Haven: Yale University Press, 2006 p. 96. ↑ Karsh, Effraim Islamic Imperialism A History, New Haven: Yale University Press, 2006 pp. 95–96. ↑ "PTT Chronology" (in Turkish). PTT Genel Müdürlüğü. 13 September 2008. Archived from the original on 13 September 2008. Retrieved 11 February 2013. ↑ "History of the Turkish Postal Service". Ptt.gov.tr. Archived from the original on 4 August 2011. Retrieved 6 November 2011. ↑ "Beylerbeyi Palace". Istanbul City Guide. Archived from the original on 10 October 2007. Retrieved 11 February 2013. ↑ "Sultan Abdülmecid: İlklerin Padişahı" (in Turkish) (July 2011). NTV Tarih: 49. Archived from the original on 12 February 2013. Retrieved 11 February 2013. ↑ "History". Türk Telekom. Archived from the original on 28 September 2007. Retrieved 11 February 2013. 1 2 3 4 5 6 Stone, Norman (2005). "Turkey in the Russian Mirror". In Mark Erickson, Ljubica Erickson. Russia War, Peace And Diplomacy: Essays in Honour of John Erickson. Weidenfeld & Nicolson. p. 95. ISBN 978-0-297-84913-1 . Retrieved 11 February 2013. ↑ "Sursock House" . Retrieved 29 May 2018. ↑ Rogan, Eugene (2011). The Arabs: A History. Penguin. p. 93. ↑ Chisholm, Hugh, ed. (1911). "Bashi-Bazouk" . Encyclopædia Britannica . 3 (11th ed.). Cambridge University Press. p. 465. ↑ V. Necla Geyikdagi (15 March 2011). Foreign Investment in the Ottoman Empire: International Trade and Relations 1854–1914. I.B.Tauris. p. 32. ISBN 978-1-84885-461-1 . Retrieved 12 February 2013. ↑ Douglas Arthur Howard (2001). The History of Turkey. Greenwood Publishing Group. p. 71. ISBN 978-0-313-30708-9 . Retrieved 11 February 2013. ↑ Williams, Bryan Glynn (2000). "Hijra and forced migration from nineteenth-century Russia to the Ottoman Empire". Cahiers du Monde Russe. 41 (1): 79–108. doi:10.4000/monderusse.39. ↑ Amjad M. Jaimoukha (2001). The Circassians: A Handbook. Palgrave Macmillan. ISBN 978-0-312-23994-7 . Retrieved 4 May 2013. ↑ Charlotte Mathilde Louise Hille (2010). State building and conflict resolution in the Caucasus. BRILL. p. 50. ISBN 978-90-04-17901-1 . Retrieved 4 May 2013. ↑ Daniel Chirot; Clark McCauley (1 July 2010). Why Not Kill Them All? : The Logic and Prevention of Mass Political Murder (New in Paper). Princeton University Press. p. 23. ISBN 978-1-4008-3485-3 . Retrieved 4 May 2013. ↑ Stone, Norman "Turkey in the Russian Mirror" pp. 86–100 from Russia War, Peace and Diplomacy edited by Mark & Ljubica Erickson, Weidenfeld & Nicolson: London, 2004 p. 95. ↑ Baten, Jörg (2016). A History of the Global Economy. From 1500 to the Present. Cambridge University Press. p. 50. ISBN 978-1-107-50718-0. ↑ Rogan, Eugene (2011). The Arabs: A History. Penguin. p. 105. 1 2 Rogan, Eugene (2011). The Arabs: A History. Penguin. p. 106. ↑ Jelavich, Charles; Jelavich, Barbara (1986). The Establishment of the Balkan National States, 1804–1920. p. 139. ISBN 978-0-295-80360-9. ↑ Taylor, A.J.P. (1955). The Struggle for Mastery in Europe, 1848–1918. Oxford: Oxford University Press. pp. 228–54. ISBN 978-0-19-822101-2. ↑ Akçam, Taner (2006). A Shameful Act: The Armenian Genocide and the Question of Turkish Responsibility. New York: Metropolitan Books. p. 42. ISBN 978-0-8050-7932-6. ↑ Kemal H Karpat (2004). Studies on Turkish politics and society: selected articles and essays. Brill. ISBN 978-90-04-13322-8 . Retrieved 24 May 2013. ↑ "Greek and Turkish refugees and deportees 1912–1924" (PDF). NL: Universiteit Leiden: 1. Archived from the original (PDF) on 16 July 2007. ↑ Justin McCarthy (1995). Death and exile: the ethnic cleansing of Ottoman Muslims, 1821–1922. Darwin Press. ISBN 978-0-87850-094-9 . Retrieved 1 May 2013. ↑ Carmichael, Cathie (12 November 2012). Ethnic Cleansing in the Balkans: Nationalism and the Destruction of Tradition. Routledge. p. 21. ISBN 978-1-134-47953-5 . Retrieved 1 May 2013. During the period from 1821 to 1922 alone, Justin McCarthy estimates that the ethnic cleansing of Ottoman Muslims led to the death of several million individuals and the expulsion of a similar number. ↑ Buturovic, Amila (1 May 2010). Islam in the Balkans: Oxford Bibliographies Online Research Guide. Oxford University Press. p. 9. ISBN 978-0-19-980381-1 . Retrieved 1 May 2013. ↑ Peter Balakian (13 October 2009). The Burning Tigris. HarperCollins. p. xvii. ISBN 978-0-06-186017-1 . Retrieved 8 June 2013. ↑ Hakan Ozoglu (24 June 2011). From Caliphate to Secular State: Power Struggle in the Early Turkish Republic. ABC-CLIO. p. 8. ISBN 978-0-313-37957-4 . Retrieved 8 June 2013. 1 2 Naim Kapucu; Hamit Palabiyik (2008). Turkish Public Administration: From Tradition to the Modern Age. USAK Books. p. 77. ISBN 978-605-4030-01-9 . Retrieved 11 February 2013. ↑ Black, Antony (2001). The History of Islamic Political Thought: From the Prophet to the Present. Psychology Press. p. 199. ISBN 978-0-415-93243-1 . Retrieved 11 February 2013. ↑ Lewis, Bernard (1963). Istanbul and the Civilization of the Ottoman Empire. University of Oklahoma Press. p. 151. ISBN 978-0-8061-1060-8 . Retrieved 11 February 2013. ↑ "The Ottoman Palace School Enderun and the Man with Multiple Talents, Matrakçı Nasuh". Journal of the Korea Society of Mathematical Education, Series D. Research in Mathematical Education. 14 (1): 19–31. March 2010. ↑ Karpat, Kemal H. (1973). Social Change and Politics in Turkey: A Structural-Historical Analysis. Brill. p. 204. ISBN 978-90-04-03817-2 . Retrieved 11 February 2013. 1 2 3 Black, Antony (2001). The History of Islamic Political Thought: From the Prophet to the Present. Psychology Press. p. 197. ISBN 978-0-415-93243-1 . Retrieved 11 February 2013. ↑ Naim Kapucu; Hamit Palabiyik (2008). Turkish Public Administration: From Tradition to the Modern Age. USAK Books. p. 78. ISBN 978-605-4030-01-9 . Retrieved 12 February 2013. ↑ "Balancing Sharia: The Ottoman Kanun". BBC. Retrieved 5 October 2013. 1 2 3 4 5 Benton, Lauren (3 December 2001). Law and Colonial Cultures: Legal Regimes in World History, 1400–1900. Cambridge University Press. pp. 109–10. ISBN 978-0-521-00926-3 . Retrieved 11 February 2013. 1 2 3 4 Epstein, Lee; O'Connor, Karen; Grub, Diana. "Middle East" (PDF). Legal Traditions and Systems: an International Handbook. Greenwood Press. pp. 223–24. Archived from the original (PDF) on 25 May 2013. ↑ Murphey, Rhoads (1999). Ottoman Warfare, 1500–1700. UCL Press. p. 10. ↑ "Petition created for submarine name". Ellesmere Port Standard. Archived from the original on 23 April 2008. Retrieved 11 February 2013. ↑ "Story of Turkish Aviation". Turkey in the First World War. Archived from the original on 12 May 2012. Retrieved 6 November 2011. ↑ "Founding". Turkish Air Force. Archived from the original on 7 October 2011. Retrieved 6 November 2011. ↑ Imber, Colin (2002). "The Ottoman Empire, 1300–1650: The Structure of Power" (PDF). pp. 177–200. Archived from the original (PDF) on 26 July 2014. ↑ Raymond Detrez; Barbara Segaert (1 January 2008). Europe and the historical legacies in the Balkans. Peter Lang. p. 167. ISBN 978-90-5201-374-9 . Retrieved 1 June 2013. ↑ Naim Kapucu; Hamit Palabiyik (2008). Turkish Public Administration: From Tradition to the Modern Age. USAK Books. p. 164. ISBN 978-605-4030-01-9 . Retrieved 1 June 2013. ↑ Maḥmūd Yazbak (1998). Haifa in the Late Ottoman Period 1864–1914: A Muslim Town in Transition. BRILL. p. 28. ISBN 978-90-04-11051-9 . Retrieved 1 June 2013. ↑ Mundy, Martha; Smith, Richard Saumarez (15 March 2007). Governing Property, Making the Modern State: Law, Administration and Production in Ottoman Syria. I.B.Tauris. p. 50. ISBN 978-1-84511-291-2 . Retrieved 1 June 2013. ↑ İnalcık, Halil (1970). "The Ottoman Economic Mind and Aspects of the Ottoman Economy". In Cook, M. A. Studies in the Economic History of the Middle East: from the Rise of Islam to the Present Day. Oxford University Press. p. 209. ISBN 978-0-19-713561-7. ↑ İnalcık, Halil (1970). "The Ottoman Economic Mind and Aspects of the Ottoman Economy". In Cook, M. A. Studies in the Economic History of the Middle East: from the Rise of Islam to the Present Day. Oxford University Press. p. 217. ISBN 978-0-19-713561-7. ↑ Darling, Linda (1996). Revenue-Raising and Legitimacy: Tax Collection and Finance Administration in the Ottoman Empire, 1560–1660. E.J. Brill. pp. 238–39. ISBN 978-90-04-10289-7. ↑ İnalcık, Halil (1970). "The Ottoman Economic Mind and Aspects of the Ottoman Economy". In Cook, M. A. Studies in the Economic History of the Middle East: from the Rise of Islam to the Present Day. Oxford University Press. p. 218. ISBN 978-0-19-713561-7. ↑ Jean Batou (1991). Between Development and Underdevelopment: The Precocious Attempts at Industrialization of the Periphery, 1800–1870. Librairie Droz. pp. 181–96. ISBN 978-2-600-04293-2. ↑ Jean Batou (1991). Between Development and Underdevelopment: The Precocious Attempts at Industrialization of the Periphery, 1800–1870. Librairie Droz. p. 189. ISBN 978-2-600-04293-2. ↑ M. Shahid Alam (2016). Poverty From The Wealth of Nations: Integration and Polarization in the Global Economy since 1760. Springer Science+Business Media. p. 33. ISBN 978-0-333-98564-9. ↑ Paul Bairoch (1995). Economics and World History: Myths and Paradoxes. University of Chicago Press. pp. 31–32. 1 2 3 Kabadayı, M. Erdem (28 October 2011). "Inventory for the Ottoman Empire / Turkish Republic" (PDF). Istanbul Bilgi University. Archived from the original (PDF) on 28 October 2011. ↑ Leila Erder and Suraiya Faroqhi (October 1979). "Population Rise and Fall in Anatolia 1550–1620". Middle Eastern Studies. 15 (3): 322–45. doi:10.1080/00263207908700415. ↑ Shaw, S. J. (1978). The Ottoman Census System and Population, 1831–1914. International Journal of Middle East Studies. Cambridge University Press. p. 325. The Ottomans developed an efficient system for counting the empire's population in 1826, a quarter of a century after such methods were introduced in Britain, France and America. ↑ Quataert 2000, pp. 110–11. 1 2 Quataert 2000, p. 114. ↑ Pamuk, S (August 1991). "The Ottoman Empire and the World Economy: The Nineteenth Century". International Journal of Middle East Studies. Cambridge University Press. 23 (3). ↑ McCarthy, Justin (1995). Death and exile: the ethnic cleansing of Ottoman Muslims, 1821–1922. Darwin Press. p. [ page needed ]. ISBN 978-0-87850-094-9. 1 2 Bertold Spuler (2003). Persian Historiography And Geography. Pustaka Nasional Pte Ltd. p. 69. ISBN 978-9971-77-488-2 . Retrieved 11 February 2013. ↑ "The Ottoman Constitution, promulgated the 7th Zilbridge, 1293 (11/23 December, 1876)". The American Journal of International Law. 2 (4): 376. 1908. JSTOR 2212668. ↑ Kemal H. Karpat (2002). Studies on Ottoman Social and Political History: Selected Articles and Essays. Brill. p. 266. ISBN 978-90-04-12101-0 . Retrieved 11 February 2013. 1 2 3 4 Içduygu, Ahmet; Toktas, Şule; Ali Soner, B. (1 February 2008). "The politics of population in a nation-building process: emigration of non-Muslims from Turkey". Ethnic and Racial Studies. 31 (2): 358–89. doi:10.1080/01419870701491937. ↑ "Why there is more to Syria conflict than sectarianism". BBC News. Retrieved 5 June 2013. ↑ Akçam, Taner (2006). A shameful act: the Armenian genocide and the question of Turkish responsibility. New York: Metropolitan Books. p. 24. ISBN 978-0-8050-7932-6. ↑ "Ottoman Empire". Encyclopædia Britannica. ↑ Krummerich, Sean (1998–99). "The Divinely-Protected, Well-Flourishing Domain: The Establishment of the Ottoman System in the Balkan Peninsula". The Student Historical Journal. Loyola University New Orleans. 30. Archived from the original on 10 June 2009. Retrieved 11 February 2013. ↑ "Turkish Toleration". The American Forum for Global Education. Archived from the original on 20 March 2001. Retrieved 11 February 2013. 1 2 Syed, Muzaffar Husain (2011). A Concise History of Islam. New Delhi: Vij Books India. p. 97. ISBN 978-93-81411-09-4. ↑ Sachedina, Abdulaziz Abdulhussein (2001). The Islamic Roots of Democratic Pluralism. Oxford University Press. pp. 96–97. ISBN 978-0-19-513991-4. The millet system in the Muslim world provided the pre-modern paradigm of a religiously pluralistic society by granting each religious community an official status and a substantial measure of self-government. ↑ Philip D. Curtin, The World and the West: The European Challenge and the Overseas Response in the Age of Empire (2002), pp. 173–92. ↑ Amit Bein (2011). Ottoman Ulema, Turkish Republic: Agents of Change and Guardians of Tradition. Stanford UP. p. 141. ISBN 9780804773119. ↑ Karen Barkey, and George Gavrilis, "The Ottoman millet system: Non-territorial autonomy and its contemporary legacy." Ethnopolitics 15.1 (2016): 24–42. ↑ Youssef M. Choueiri, Arab Nationalism: A History: Nation and State in the Arab World (2001), pp. 56–100. ↑ Gábor Ágoston and Bruce Alan Masters (2010). Encyclopedia of the Ottoman Empire. Infobase. p. 64. ISBN 9781438110257. ↑ Özgündenli, O. "Persian Manuscripts in Ottoman and Modern Turkish Libraries". Encyclopaedia Iranica (online ed.). Archived from the original on 22 January 2012. ↑ "Historiography. xi. Persian Historiography in the Ottoman Empire". Encyclopaedia Iranica . 12, fasc. 4. 2004. pp. 403–11. ↑ Walter, F. "The Departure of Turkey from the 'Persianate' Musical Sphere". 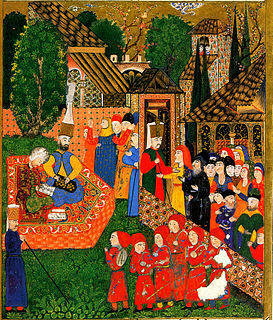 Music of the Ottoman court. ↑ Halil Inalcik. "Servile Labor in the Ottoman Empire". Michigan State University. Archived from the original on 11 September 2009. Retrieved 26 August 2010. ↑ Fodor, Pál (2007). "Introduction". In Dávid, Géza; Pál Fodor. Ransom Slavery along the Ottoman Borders. Leiden: Brill. pp. xii–xvii. ISBN 978-90-04-15704-0. ↑ Faroqhi, Suraiya (1998). "Migration into Eighteenth-century 'Greater Istanbul' as Reflected in the Kadi Registers of Eyüp". Turcica. Louvain: Éditions Klincksieck. 30: 165. doi:10.2143/TURC.30.0.2004296. ↑ Mignon, Laurent (2005). Neither Shiraz nor Paris : papers on modern Turkish literature. Istanbul: ISIS. p. 20. ISBN 978-975-428-303-7. Those words could have been readily adopted by Hovsep Vartanyan (1813–1879), the author, who preferred to remain anonymous, of The Story of Akabi (Akabi Hikyayesi), the first novel in Turkish, published with Armenian characters in the same year as Hisarian's novel. ↑ Masters, Bruce; Ágoston, Gábor (2009). Encyclopedia of the Ottoman Empire. New York: Facts On File. p. 440. ISBN 978-1-4381-1025-7. Written in Turkish using the Armenian alphabet, the Akabi History (1851) by Vartan Pasha is considered by some to be the first Ottoman novel. ↑ Pultar, Gönül (2013). Imagined identities : identity formation in the age of globalism (First ed.). [S.l. ]: Syracuse University Press. p. 329. ISBN 978-0-8156-3342-6. In fact, one of the first Turkish works of fiction in Western-type novel form, Akabi Hikayesi (Akabi's Story), was written in Turkish by Vartan Pasha (born Osep/Hovsep Vartanian/Vartanyan, 1813–1879) and published in Armenian characters in 1851. ↑ Gürçaglar, Şehnaz; Paker, Saliha; Milton, John (2015). Tradition, Tension and Translation in Turkey. John Benjamins Publishing Company. p. 5. ISBN 978-90-272-6847-1. It is interesting that the first Ottoman novel in Turkish, Akabi Hikayesi (1851, Akabi's Story), was written and published in Armenian letters (for Armenian communities who read in Turkish) by Hovsep Vartanyan (1813–1879), known as Vartan Paşa, a leading Ottoman man of letters and journalist. ↑ Moran, Berna (1997). Türk Romanına Eleştirel Bir Bakış Vol. 1. p. 19. ISBN 978-975-470-054-1. ↑ Eli Shah. "The Ottoman Artistic Legacy". Israel Ministry of Foreign Affairs. Archived from the original on 13 February 2009. Retrieved 26 August 2010. ↑ Faroqhi, Suraiya (2005). Subjects of the Sultan: culture and daily life in the Ottoman Empire (New ed.). London: I.B. Tauris. p. 152. ISBN 978-1-85043-760-4. ↑ Faroqhi, Suraiya (2005). Subjects of the Sultan: culture and daily life in the Ottoman Empire (New ed.). London: I.B. Tauris. p. 153. ISBN 978-1-85043-760-4. ↑ "Karagöz and Hacivat, a Turkish shadow play". All About Turkey. 20 November 2006. Retrieved 20 August 2012. ↑ Emin Şenyer. "Karagoz, Traditional Turkish Shadow Theatre". Karagoz.net. Retrieved 11 February 2013. ↑ Ragep, F. J. (2005). "Ali Qushji and Regiomontanus: eccentric transformations and Copernican Revolutions". Journal for the History of Astronomy. Science History Publications Ltd. 36 (125): 359–71. Bibcode:2005JHA....36..359R. doi:10.1177/002182860503600401. ↑ Sevim Tekeli (1997). "Taqi al-Din". Encyclopaedia of the history of science, technology and medicine in non-western cultures. Encyclopaedia of the History of Science. Kluwer. Bibcode:2008ehst.book.....S. ISBN 978-0-7923-4066-9. ↑ El-Rouayheb, Khaled (2015). Islamic Intellectual History in the Seventeenth Century: Scholarly Currents in the Ottoman Empire and the Maghreb. Cambridge University Press. pp. 18–19. ISBN 978-1-107-04296-4. ↑ Ben-Zaken, Avner (2004). "The Heavens of the Sky and the Heavens of the Heart: the Ottoman Cultural Context for the Introduction of Post-Copernican Astronomy". The British Journal for the History of Science. Cambridge University Press. 37: 1–28. doi:10.1017/S0007087403005302. ↑ Bademci, G. (2006). "First illustrations of female Neurosurgeons in the fifteenth century by Serefeddin Sabuncuoglu". Neurocirugía. 17 (2): 162–65. doi:10.4321/S1130-14732006000200012. ↑ Horton, Paul (July–August 1977). "Topkapi's Turkish Timepieces". Saudi Aramco World : 10–13. Archived from the original on 22 November 2008. Retrieved 12 July 2008. 1 2 Jean Batou (1991). Between Development and Underdevelopment: The Precocious Attempts at Industrialization of the Periphery, 1800–1870. Librairie Droz. pp. 193–96. ISBN 978-2-600-04293-2.